Associated Press – Lu Guang’s photos exposed the everyday realities of people on the margins of Chinese society: coal miners, drug addicts, HIV patients. Now, the award-winning photographer is at the center of his own stark story. He was taken away by state security agents three weeks ago for unknown reasons, Lu’s wife, Xu Xiaoli, told The Associated Press late Tuesday. Xinjiang’s propaganda department did not immediately respond to a faxed request for comment. When asked about Lu during a regular briefing Wednesday, Chinese foreign ministry spokesman Geng Shuang said he was not aware of the situation. Lu’s profile on the World Press Photo website says he is the recipient of numerous other photography honors including Germany’s Henri Nannen Prize in Photography and a National Geographic Photography Grant. Xu said she believes it was Lu’s first visit to Xinjiang. 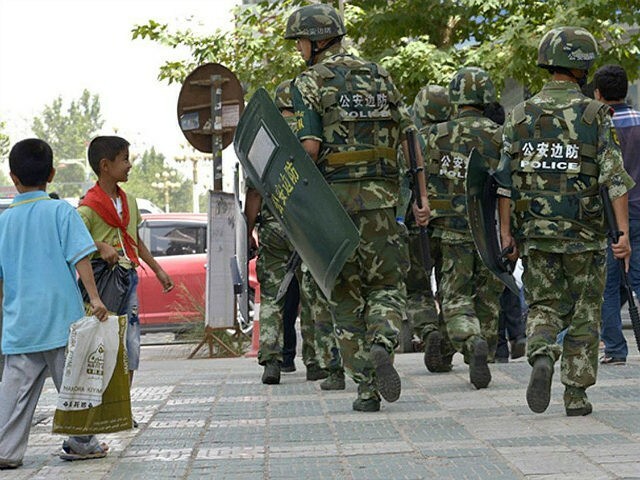 A stifling security apparatus has been imposed on the region in recent years as the government combats what it calls terrorist threats from Xinjiang’s predominantly Muslim ethnic Uighur and Kazakh populations.